Nopalito Farm is owned & operated by the Brownwood Family. 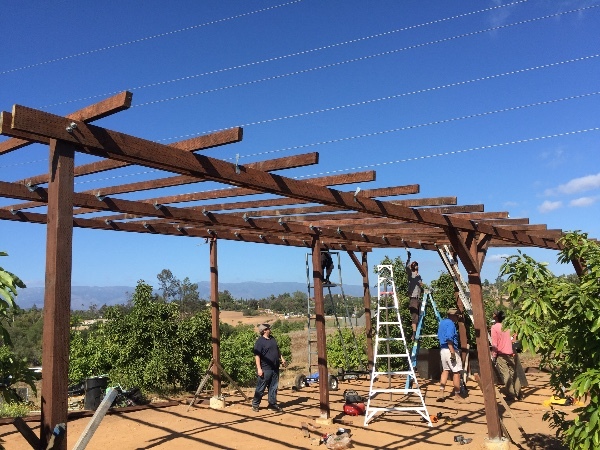 We run an 8 acre certified organic farm located near Escondido where we grow hops, avocados, lemons, melons and other fruits and vegetables. We currently serve San Diego county's outstanding brewing industry and a number of excellent bars and restaurants. 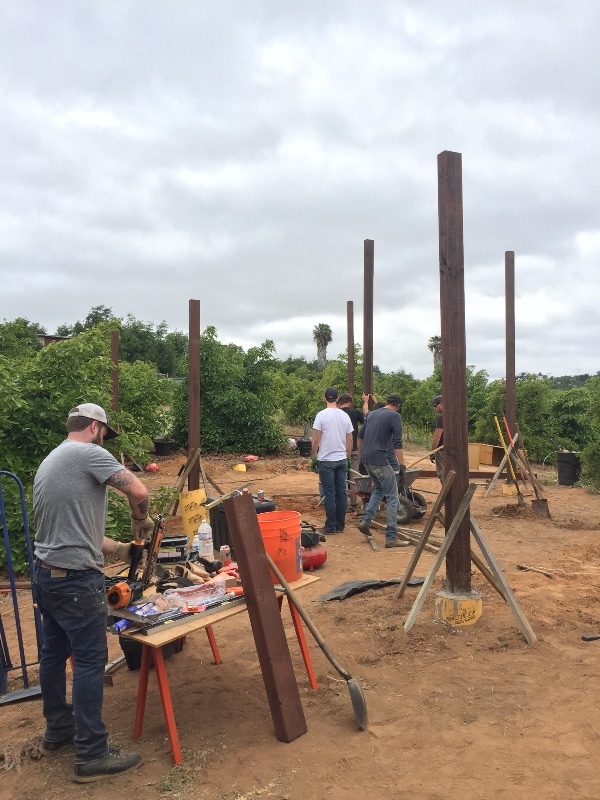 While we love growing food and hops, our next goal is to create a community space for friends and neighbors to gather. Whether it be for hosting educational workshops, potlucks or just fun gatherings, we don't have the infrastructure at the moment to properly do these things. -An annual "Hop School" where aspiring growers or interested beer lovers can learn what it takes to grow hops. -Collaborative events with local chefs, brewers, butchers and other regional artisans. 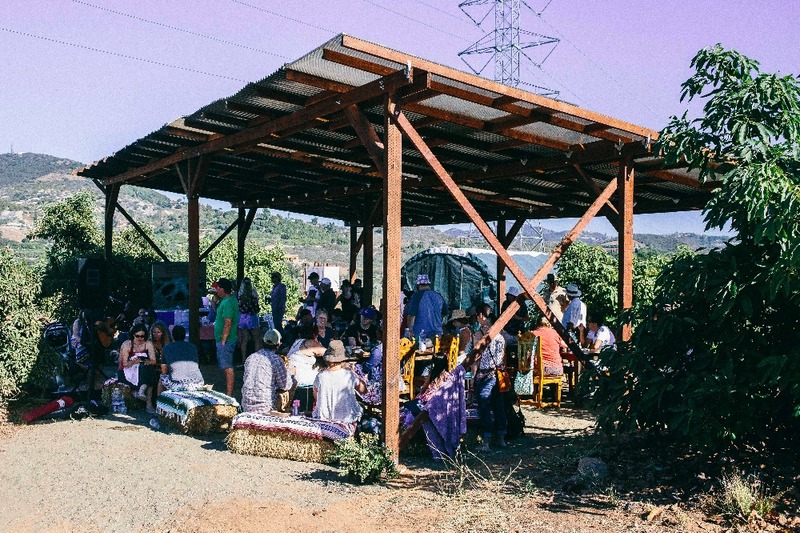 -Various agriculturally-related classes or workshops based on drought sensitivity and permaculture ideals. Our goal is to have this project completed by the end of May so that we can begin organizing events ASAP. Running a small family farm comes with multiple financial hardships, which is why we're seeking help. If you think you or anyone you know might benefit from this project, or if you simply dig the idea, we would very much appreciate the support. 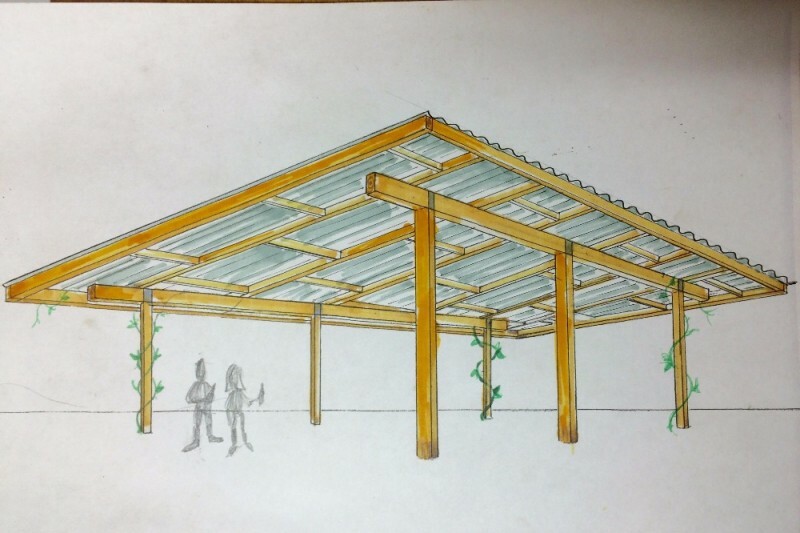 So we finished the structure this past week just in time for our first event! Everyone loved it & we had such great feedback. Thank you all so much for making this dream come to life! Had a big group out this weekend to help with our buildout! Day 3, posts are in! Can't wait to see the space! Love y'all!